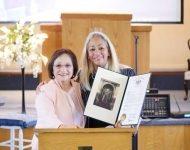 November 11, 2018 - Ellen Kern (Left), Sen. Browne’s Chief of Staff, presents a Senate Citation to Anna Solt (Right) to commemorate her 90th birthday. 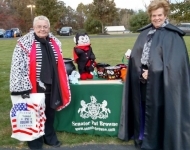 November 10, 2018 - Ellen Kern (Left), Sen. Browne’s Chief of Staff, presents a Senate Citation to Marion Mensinger (Right) to commemorate her 90th birthday. October 27, 2018 - Ellen Kern (Left), Sen. Browne’s Chief of Staff, presents a Senate Citation to Dolores Zale (Right) at Morgan’s Restaurant to commemorate her 90th birthday. 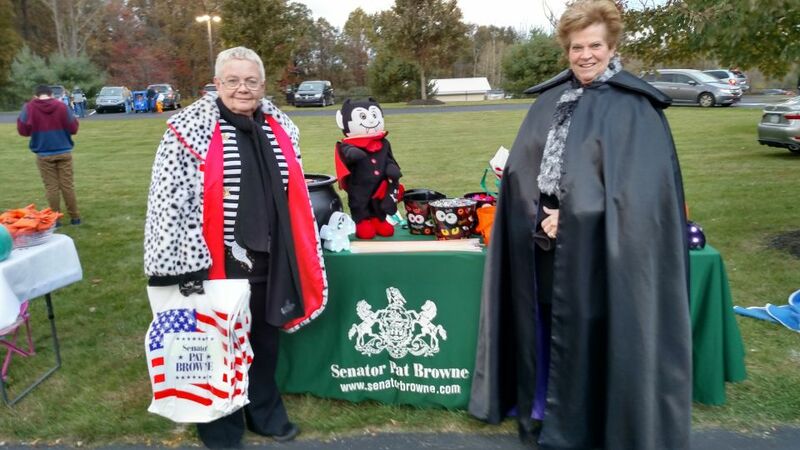 October 24, 2018 - Ellen Kern (Left), Sen. Browne’s Chief of Staff, and Loretta DeWalt (Right), Sen. Browne’s Office Manager, participate in the Miracle League of the Lehigh Valley’s Halloween Bash. 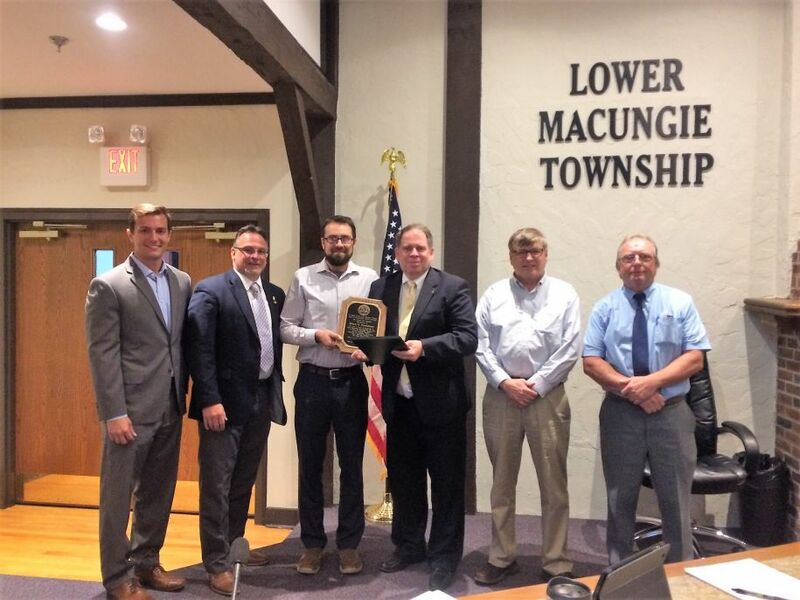 September 19, 2018 - Ellen Kern, Sen. Browne’s Chief of Staff, helps to honor South Whitehall Township which was being recognized as a community of distinction by the Lehigh Valley Planning Commission. 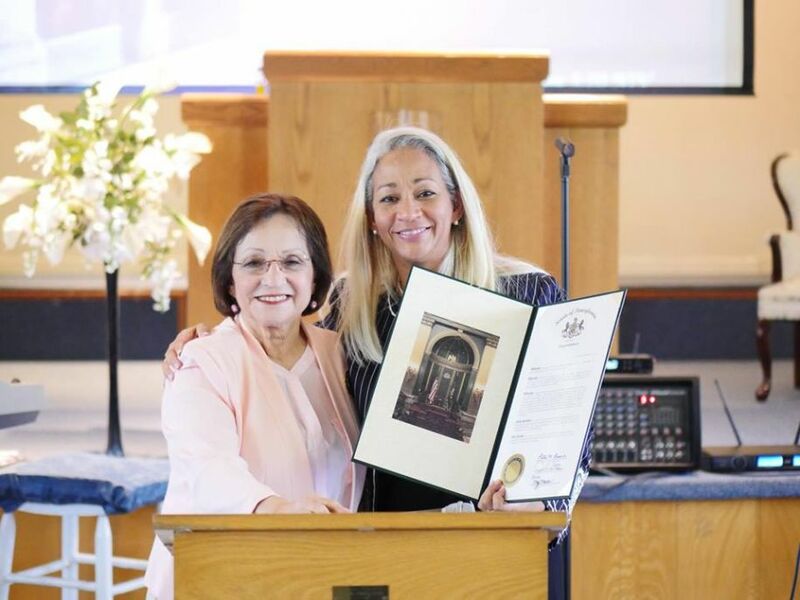 September 9, 2018 - Altagracia Mercado (Right), Sen. Browne’s Urban Affairs Liaison, presents a Senate Citation to Pastor Nydia Cedre-Ramos (Left) for the 10th anniversary of the Iglesia Hispana Emmanuel Asamblea de Dios. 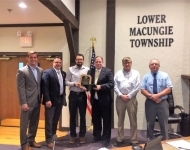 September 6, 2018 - Matt Szuchyt, Sen. Browne’s Local Government Liaison, helps to honor Bruce Fosselman for his many years of service to Lower Macungie Township as their Manager during a Board of Commissioners meeting. 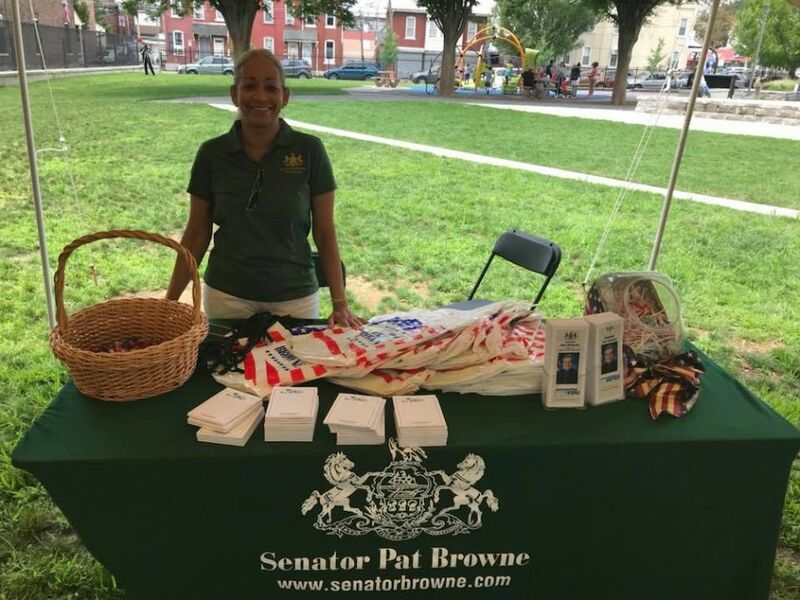 August 18, 2018 - Altagracia Mercado, Sen. Browne’s Urban Affairs Liaison, participated in Upside Allentown’s annual Community Day at Stevens Park. 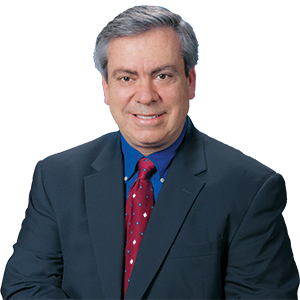 July 18, 2018- Matt Szuchyt, Sen. Browne’s Local Government Liaison, takes part in the ground breaking of the new New Tripoli Fire Company Station in Lynn Township, Lehigh County. 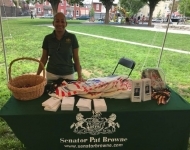 Sen. Browne secured a $250,000 grant to assist with the Fire Company’s operations.